One of the main streets of New Amsterdam. The tower is the cityhall building. 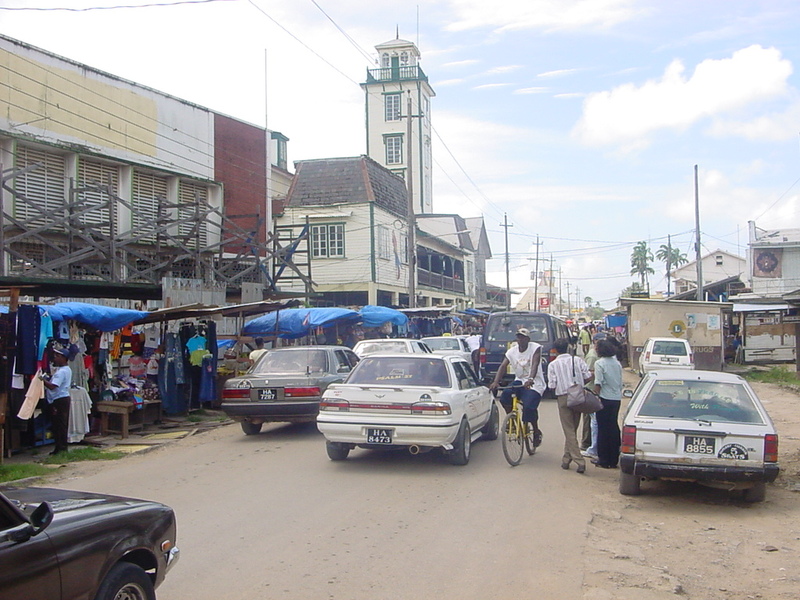 New Amsterdam is near the mouth of the Berbice river.